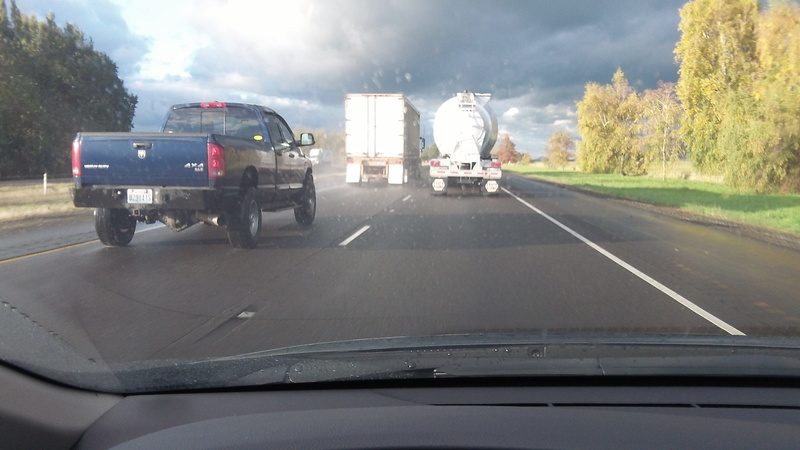 One truck passes another on Interstate 5. Given the cost of highway construction, you’d think Oregon would look for other ways of expanding the capacity of highways. On the freeways, one easy way to do that would be to equalize the legal speed of cars and pickups and commercial trucks. You know what happens now, for example, on the long stretches of two-lane Interstate 5, especially between Eugene and Albany. Trucks stick close to 55 mph, their legal limit. Most other traffic goes around 70 mph. The result: The left lane is clogged because drivers don’t want to get stuck behind trucks forced by the speed limit to go slow. A few drivers speed ahead in the empty right lane and then wedge their way into the left when a truck would otherwise slow them down. This is a dangerous situation, and our speed limits encourage it. Think of how much better the interstate would work if the speed limit was the same for all. Drivers could safely stay in the right lane without fear of getting stuck behind trucks. In one stroke, the capacity of the highway to carry traffic would be increased, and the time for building additional lanes could be put off. Carolee Gascoigne, on Facebook: I rarely see a big rig going 55 down Highway 5. I am often going 65 and they are passing me by!